Mazkara enables customers to search and discover hyper-local salons and spas find best offers/deals and book appointments in a jiffy. For spa and salon owners, it provides a business-facing, cloud-based application to help them leverage the benefits of technology in successfully managing and scaling their businesses. It offers a dashboard for the management through which the owners can update their listing, interact with customers, view page-analytics and manage bookings. 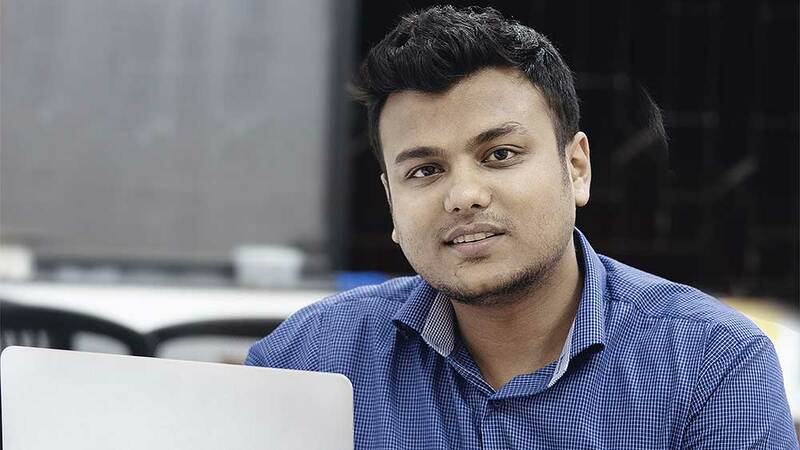 In an exclusive conversation with WI Bureau, Prasanjeet Roy, Co-Founder, Dubai-based glam-tech startup Mazkara.com, talked about opportunities in Indian wellness market, scope and expansion plans in the country and his plans of overseas expansion. Is it a bootstrapped venture or you raised funds from the market? It was initially a bootstrapped venture for the first few months, while we were creating the MVP. We were soon able to convince investors of Mazkara’s fundability, and soon raised a seed round of USD 500,000 from Dubai-based PE investors. The funds are being used to set up the initial team for technology and product for the launches of our target cities in UAE and India. Elaborate on the funding details, highlighting the amount or percentage. How are you going to utilize this fund? We cannot disclose more details regarding our funding. However, we are roughly planning to spend about 40 per cent of our investment on sales, 30 per cent on technology and the rest 30 per cent on the marketing of the product. With growing rage of eWellness/eHealth in India, do you think start-ups like you may bring a major change in whole ecosystem of the beauty and wellness industry or healthcare sector? What we see today is that all the current players (big and small) are focusing on different aspects within the Beauty & Wellness space. Most of them are either doing 'Online booking' and the rest are focusing on 'On-demand Home Service'. However, our focus is on helping customers decide in the first place, which beauty/wellness service they would like to avail, based on user recommendation. Undoubtedly, start-ups like us will initiate a welcoming change in the sector. Wellness industry is highly unorganised. Do you think online retail will help the category bring a justified procedure on place? Yes, it is absolutely unorganized; we have seen salon owners being not completely open to accepting technology into their businesses. Mazkara aims to help create a relatively more organized user experience that leads upto the actual booking stage, an online marketplace which can deliver a seamless booking experience to users, but, we will have to wait for the industry to evolve and mature before we move in that direction. Who are the other existing players in this space having the same business model as your’s? How are you going to strategize your marketing policy in order to gain competitive edge in the space? Although, we don’t have any direct competitors with regards to the core offering that Mazkara provides, we consider – Ziffi, Vyomo, Purplle, GetTheLook, Vanity Cube as platforms which cater to the same industry in India and VaniDay in Dubai. The product differentiator in itself creates the competitive edge for us.Although we will facilitate bookings, our focus is going to be discovery and user experience based on value additions that will be made through the app. Please elaborate on your revenue model? Are you in-terms of revenue sharing with any online or wellness Retail Company? Our entry market revenue model is Premium listings. We are selling premium listings on our website on a subscription basis. We are soon introducing a PPL (pay-per-lead) model specific only to India. What is the biggest challenge of establishing presence in eWellness space? How do you overcome these challenges? Our biggest challenge was during our launch in Pune, when we were surprised to see the level of friction we faced from the salon/spa owners to be listed on Mazkara. We weren't selling them anything and they still did not want to have anything to do with us ‘online companies’. It was like, they were afraid of us. It took a whole lot of imparting education to them before they were ready to share details and be listed with us. We were not facing these challenges in Dubai, owing to the more open and experimenting attitude of the consumers. Please through some light on your geographical presence? As of now we have our offices in Dubai and Pune, with total team strength of 25 and growing. Elaborate on your pricing strategy and how you are planning to improve it in a bid to improve growth and profit margin? Our product aims to increase the revenue of each client by 25-30 per cent; In return, we look to price our services at 10-15 per cent of the average ticket value. Being a tech-based start-up, our constant focus is on product and technology and improving user experience. Our target markets for 2015 and 2016 are - UAE (Dubai, Abu Dhabi, Sharjah) and India (Pune, Mumbai, Delhi, Bangalore, Hyderabad, Chennai, Kolkata). Of these, we have launched Dubai and Pune. In the long run we are looking at international markets like Singapore, Australia and New Zealand to foray into. What are your views over gradually picking up eCommerce in Wellness space? Does it bring lucrative opportunities for beauty and wellness professionals? How, please elaborate. There is immense potential in the e-Commerce in Wellness and Beauty space, and undoubtedly it comes with a multitude of opportunities for professionals. Stay tuned, we are bringing in a space where stylists and therapists can engage with users. Any tips to aspiring tech start-ups in beauty & wellness space? Understanding the market and how your users think offline before you attempt to bring them online is crucial. If you haven’t identified the problem correctly, it could hinder your growth prospects. Tips to optimize Salon or Spa website traffic..